Want to gain confidence from swim coaching? How about gaining strength, endurance and improved technique? How beneficial is Vasa for swimmers, triathletes, and coaches? Just ask our customers. We recently had the privilege of interviewing swim coach Jenny Lyle about her experience coaching with the Vasa Trainer and SwimErg. We wanted to know how she incorporates these tools into her personalized technique and training programs to increase confidence from swim coaching in swimmers and triathletes. Jenny and her husband Mike Lyle own and operate Lyle Fitness Consulting, where they have provided coaching services in person and online for triathletes, swimmers, runners, cyclists and general fitness since 2000. They successfully coach athletes at all levels, having helped numerous individuals reach their specific sport & fitness goals. Lyle Fitness Consulting is located in Carlsbad, California. Here’s what Jenny had to say about her experience swim coaching with Vasa. Vasa: When did you start swimming, what got you started, and why do you love coaching swimming and multi-sport? Jenny: We started coaching athletes around 2000. My husband has been a triathlete since the early 1980’s, so we have been involved in multi-sport since its origins and I have been a swimmer all my life. It was a natural transition into coaching. We really enjoy seeing our athletes improve and reach their goals as well as grow as people. Our coaching style is very hands-on, and we limit the number of athletes we train in order to do that. All of our workouts are custom for each individual client. There isn’t any “cut and pasting” that you see with so many other coaches. Vasa: Do you have specific goals for each type of coaching you are involved with? Jenny: Our goal is to have happy clients. There is a lot of laughing and joking going on in our workouts. Don’t get me wrong, the workouts are very difficult, but we believe in having fun while working hard! We make sure that our clients enjoy the process of getting to their goals. We make it about the journey of reaching the goal and then celebrating when we get there. Vasa: You have been using the Vasa Trainer and SwimErg in your coaching for some years now. Would you tell us more about how these tools move you and the athletes towards achieving your goals? Jenny: In my opinion, both the Vasa Trainer and the SwimErg are invaluable tools for improving in swimming. We use both machines in teaching individuals to be more efficient in the water, stronger in the water as well as confident in their abilities. Jenny: The training I do with Lesley is very specific to her needs. She became stronger and more efficient in the water as a result of our training. Most of all, I believe it gave her confidence in what she can do in the water. As I said earlier, we have a very hands-on coaching style. Lesley had me personally watching every single stroke or pull she took on the machines. There were continual technique adjustments being made, plus some “in her face” encouragement & yelling. We take pride in knowing our clients well enough to know when to push them and when to back off and adjust workouts. Vasa: We get a lot of reports that the SwimErg is a great way to help all athletes, especially adult-learned swimmers or athletes who have “never swam much before” and who want to work on the fundamentals of their stroke technique. Do you find that it works well as a teaching tool and why? Jenny: Yes, both machines (Vasa Trainer & Vasa SwimErg) are great for teaching an adult how to swim as long as they are under constant supervision during the process. There are ways to “cheat” on these machines, which leads to bad technique in the water, so we watch every stroke and pull taken to make sure it is correct. These machines are also great for teaching as the often uncomfortable variable of breathing while in the water is now removed from the equation. 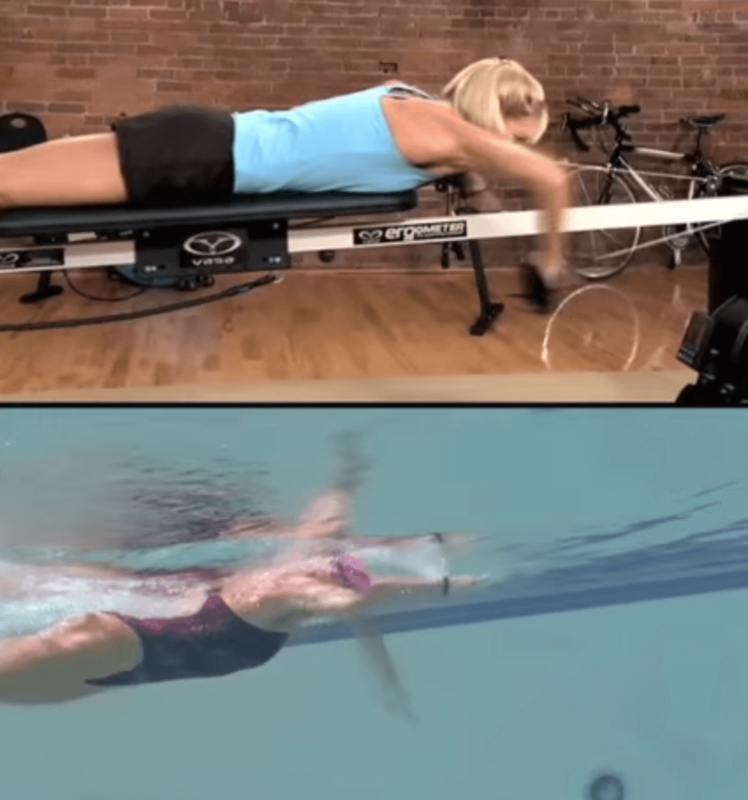 A lot of adults are very intimidated by the idea of breathing while swimming, so with these machines, we can teach the fundamentals of swimming minus the scary face-in-the-water-breathing part. Once we have the basics of good technique, we have clients begin to turn their heads just as if they are in the water. You would be amazed at how well this works! Vasa: We occasionally hear about coaches who “hate” swim benches, but they’ve never used something like the Vasa bench or tried it with swimmers. What would you tell those coaches? Jenny: I hear this a lot and I’m not sure why they have this unjustified opinion. I simply tell them to have their athletes incorporate Vasa into their training for a month (under the supervision of someone who knows how to properly utilize the equipment) and see how it goes. Jenny: Self-confidence in the individual’s ability in the water. I think that instilling into a person, at any level, the confidence that they can handle whatever is thrown at them in the water is imperative to being a great swimmer. Very close second would be proper technique. It drives me crazy when I see people swimming inefficiently. Utilizing both the Vasa Trainer and SwimErg can help prevent this. Vasa: How would you describe the process of coaching athletes remotely — those not located near you — who are training with the SwimErg? What technologies do you leverage to make your coaching even more effective? Jenny: When we first start working with someone remotely we used FaceTime to see how they are currently using the machines. From there, we demonstrate proper technique and we begin to write very specific workouts for them to complete. Our workouts are very detailed and tailored to each individual. We have clients send us the numbers (from the Vasa SwimErg) from each workout along with their thoughts and feelings. Periodically we use FaceTime to make sure that proper technique is still used. Vasa: How long until you typically see improvements as a result of your program? What specific improvements do athletes typically experience as a result of integrating the Vasa SwimErg along with water swimming? Jenny: With our clients that we train here, we see results within a month, but some of our clients say they feel the difference within 2 weeks. Our training sessions are structured and intense, so I’m sure they are feeling a lot of fatigue from the Vasa Trainer and the SwimErg immediately. Most clients report a better “feel” for the water, as well as increased strength and endurance in the water. Vasa: How do you integrate Vasa training with actual swimming in the pool and open water? What brings it all together for the athletes you coach who are doing this? Jenny: We incorporate the Vasa Trainer & SwimErg sessions directly into the training schedule. Because of the structure of our Vasa Erg workouts, they are counted as a very intense difficult swim session. Trust me on this, our athletes will tell you that our Vasa SwimErg sessions are just as difficult, if not more so than the most challenging sets they do in the pool! Truthfully, what brings it all together is results, and utilizing our training techniques both in the water and on the Vasa Trainer and SwimErg we definitely produce results! Creating personalized swim training programs is tough. 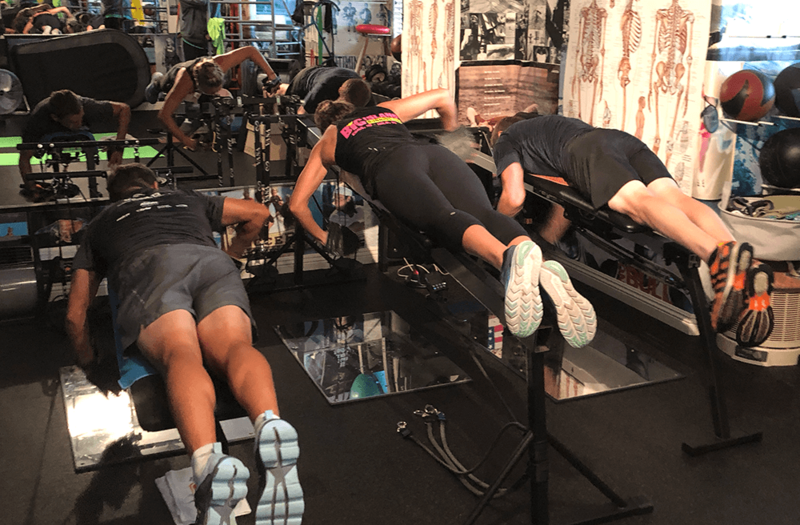 Yet Jenny and her husband make it work by incorporating various swim-specific training tools, like the Vasa Trainer and SwimErg, to give athletes the best possible results. 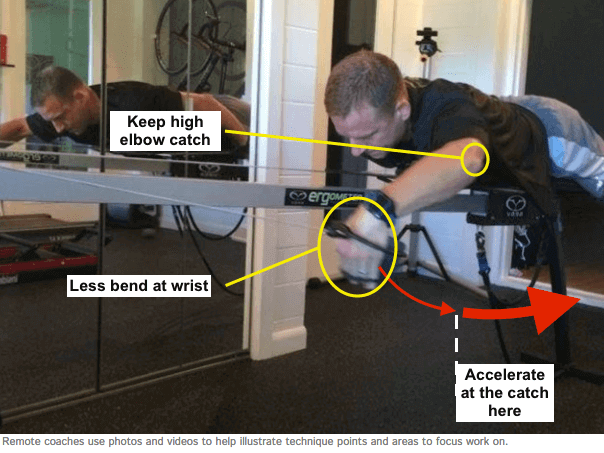 By combining Vasa along with water training and remote coaching, swimmers can not only improve their swim techniques but also gain the confidence they need to succeed. Here’s why the Vasa Trainer and SwimErg make the perfect companions for swim coaches. Subscribe to get this free resource.